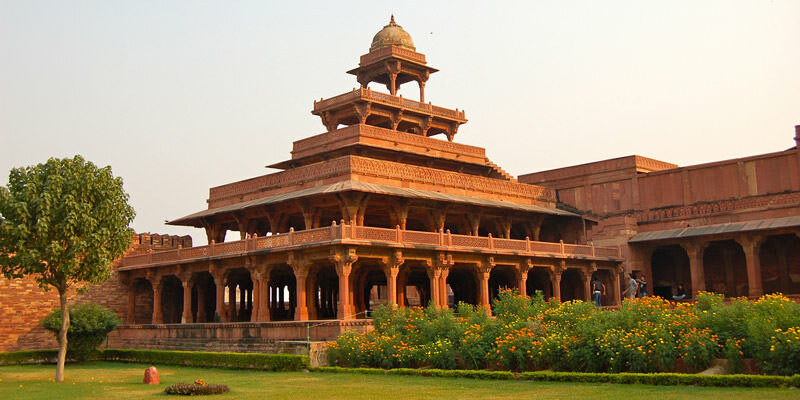 The Ram Niwas Garden was built by Maharaja Sawai Ram Singh II in the year 1868. 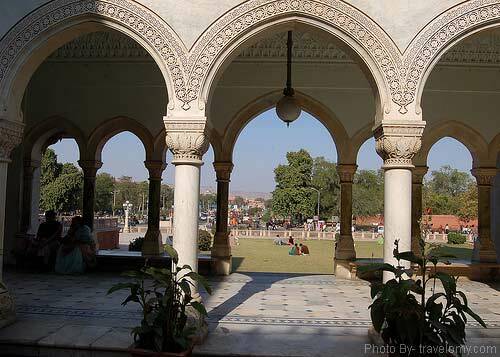 This beautiful garden, designed by Colonel Sir Swinton Jacob, is located in the heart of the Jaipur city and is spread over an area of 33 acres. Albert Hall Museum, a bird park, the Zoo, art gallery, exhibition ground, Ravindra Rang Manch Theatre and a picnic spot are the major attraction of the garden. These gardens enhance the royal ambiance of the Pink City and to a certain extent these verdant greenery are the backbone of the tourism industry of the state. The Albert Hall museum is especially noted for its Indo-Saracenic structure.Inside the garden, a zoo is their to explore tourist. This zoo also called zoological garden jaipur is a hub of exotic varieties of flora and Fauna. It is a home to many endangered species of both the animal and plant kingdom. The flock of birds, of different species arrests the vision of the tourists inside the Ram Niwas Garden. Here is the biggest crocodile breeding center in the country and houses a few rare and endangered species of flora. The unique feature of the Zoo is that it is divided into two portions, the animal Zoo and the Bird Zoo that also showcases the reptiles.The playgrounds, exhibition ground, gymnasium and recently constracted Ravindra Rangmanch etc. are also housed within this garden. This beautiful Ram Niwas Gardens is open all days except Friday, from 10AM to 4.30 PM. This Garden of great historic significance is about 12.4 km from jaipur airport , 3.7 km from Jaipur railway station and 2.2 km from Jaipur Bus stand. Visitor can easily hire a cab or a rickshaw to reach the destination.